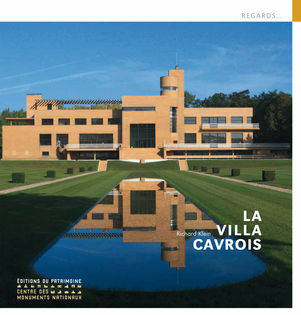 The Villa Cavrois is the most emblematic achievement of architect Mallet-Stevens. An architectural manifesto, Villa Cavrois, the work of architect Robert Mallet-Stevens, a figure of the modernist school, was designed and built in Croix between 1929 and 1932 for Paul Cavrois, a textile industrialist from the Nord department, and his family. Listed as a historical monument in 1990 thanks to citizen mobilisation, and acquired by the State in 2001, the huge restoration project implemented in 2003 by the DRAC Nord-Pas-de Calais and then taken over by the Centre des Monuments Nationaux in 2008 will be completed in 2015. Help visually impaired visitors to discover the masterpiece of the architect Robert Mallet-Stevens! Explore the monument. Available soon on App Store. 26 minutes to discover the restoration of the villa.